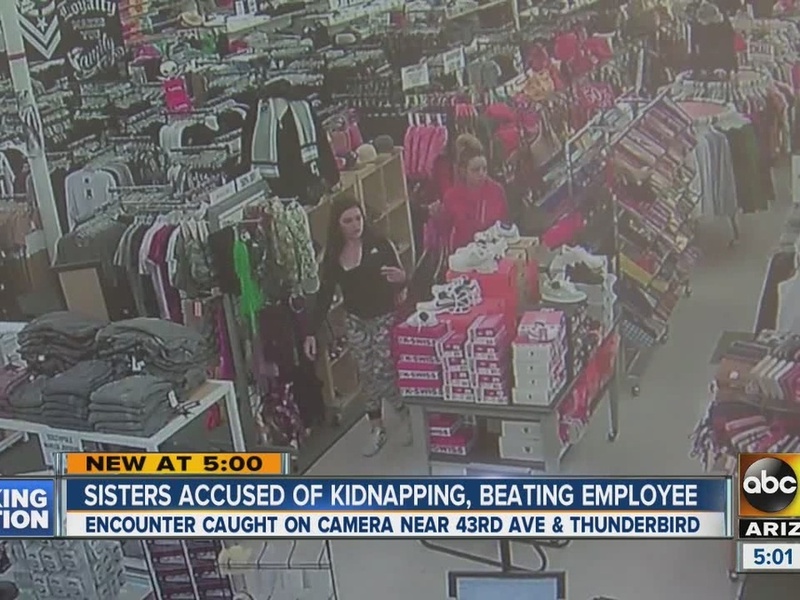 Police say a store manager, who was determined to get her stolen items back, was taken on a joy ride by the alleged thieves. Court documents show that a store manager pushed her way into a get-away car, where she was assaulted, and managed to retrieve the stolen items. Police believe that on Feb. 24, Reaanne Gail Bowman, 20, and her sister Allie went to the "The Cotton Cactus" near 43rd Avenue and Thunderbird Road where Bowman stole some shorts and a backpack. Police say as Bowman left the store, her sister was already in the car and ready to go. At this moment, the store manager came out and grabbed the backpack Bowman was carrying. The two struggled for the backpack, as Bowman punched and kicked the victim. "Reaanne grabbed the victim by the bicep and started punching and kicking the victim. Allie started driving the car through the parking lot. The victim took several steps running next to the car due to Reaanne still holding on to her arm," court documents read. Fearing she’d be dragged or run over, the manager made her way into the car— where Reaanne kept beating her. Half a mile away, the sisters stopped in front of Surrey Park on 39th Avenue to let her out. "Allie stopped in front of a residence, got out of the vehicle, and pulled the victim out of the backseat by her hair, while Reaanne continued to kick at the victim pushing her out of the car. Allie punched and kicked the victim repeatedly while on the roadway and out of the vehicle before get back in the driver's seat and fleeing," court documents read. ABC15 wanted to hear from the sisters, but no one answered the door at their home. A witness provided police with the vehicle license plate number. Bowman was found and arrested on March 9. She is being charged with aggravated robbery and kidnapping. Her sister has not yet been arrested.